Of the 570 million farms worldwide, 90 percent are run by individuals or by a family and rely on family labor for operations. For these small-scale farmers, the greatest obstacle to productivity and profit is often a lack of access to basic knowledge about best practices. In addition to focusing on optimizing their yields, farmers must constantly monitor weather forecasts, protect their crops against pests and disease, manage labor and hiring, meet with consultants and customers, track inventory, and balance books; an understandably daunting menu of demands for many who inherited, rather than selected, their profession. What might agriculture look like if farmers all over the world could open-source their knowledge base in order to build on and draw from iterative best practices that evolve in real-time? How much more food could be produced, and at what quality? How many lives would be positively impacted? 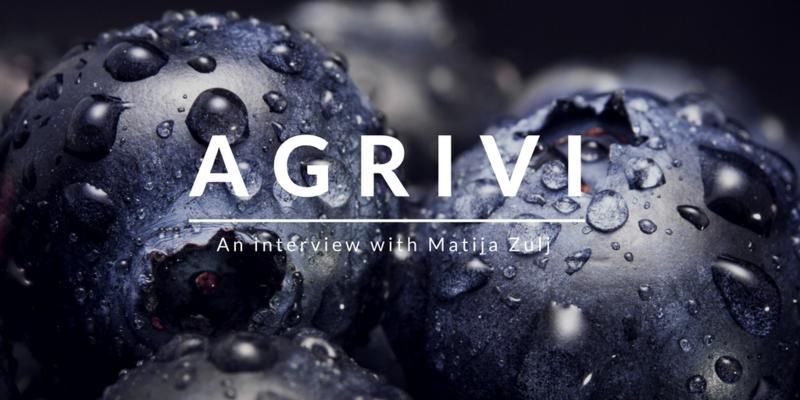 Matija Zulj set out to address these questions when he founded Agrivi, a Cloud-based farm management software that equips farmers with the tools and knowledge they need to run farms efficiently, sustainably, and profitably. M: Ever since I was a kid, I always dreamed about really doing something important. We all watch superhero movies, or read about making something big when we’re young, but then you end up working in the IT industry or some kind of corporation. You may have an impact, but it’s not something that feels relevant, because 7.2 or 7.3 million people are doing the same thing and it’s more about executing activities just to survive. I didn’t like the work I was doing. I felt like I could do something more. 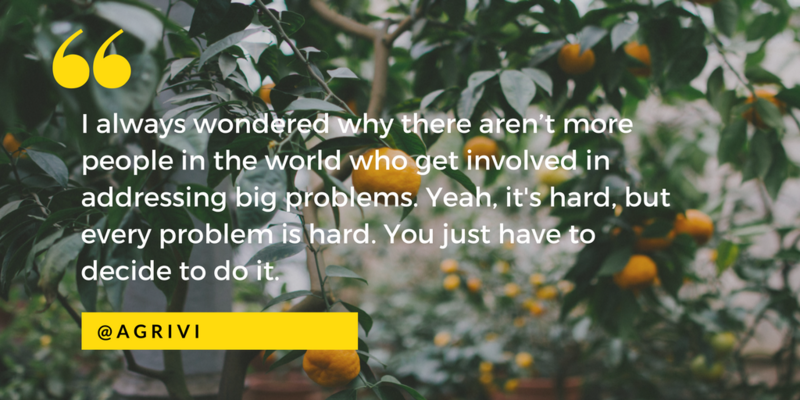 And I always wondered why there aren’t more people in the world who get involved in addressing big problems. Yeah, it’s hard, but every problem is hard. You just have to decide to do it. So I decided to try and get involved. Well, since I didn’t know too much about agriculture, I planted a blueberry farm to experience what it would be like to grow my own food, and to understand what it is to be a farmer. You can go and talk with farmers, but if you don’t experience it on your own, it’s a completely different experience. In the first year of doing that, I came across so many issues that I started to wonder how it is possible that farmers actually exist today. You can’t access the knowledge you need in order to farm well, and that’s the reason why so many farmers in the world are in decline — in strong decline. For two months I Googled “how to grow blueberries” articles. Most are copy-pasted and tell you nothing new. And if you speak with agriculture experts who have a Ph.D in agricultural science, they’re more knowledgable about traditional practices, not necessarily the latest best practices. 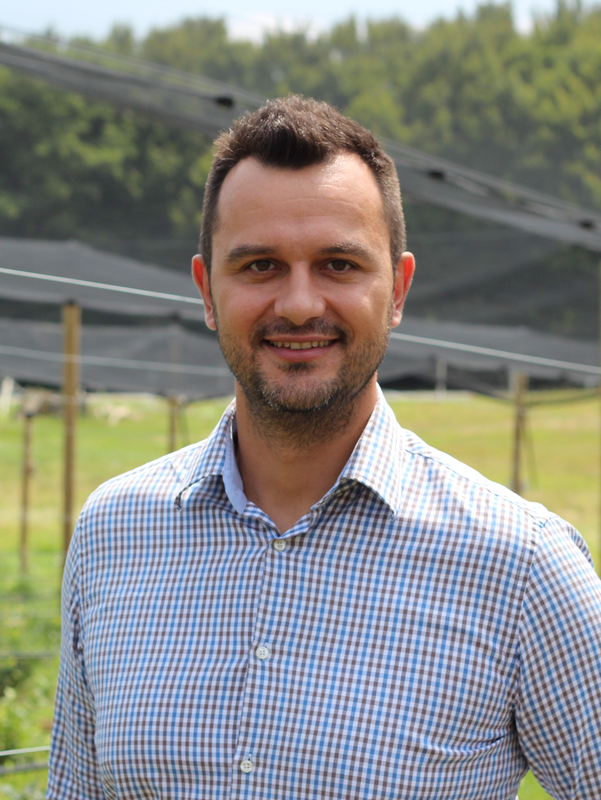 Matija Zulj, CEO and Founder at Agrivi. I’m from Croatia, and I couldn’t find best practice knowledge easily in Europe. I had to purchase it from the U.S. So I wanted to know how many farmers are able to do that. Not many. You can find best practices about most common crops that are grown in your region, but those crops are usually not too profitable, and farmers are struggling with being simultaneously profitable and sustainable. Since agricultural technologies are on the rise and everything is going to the cloud, I started looking into applications to source knowledge from. But there may be 20 different apps, each for different purposes, and you don’t have time to sort through that in a regular business. Especially if your job isn’t to be by a computer, but to be working in a field. For the first eight months, I was still working as CEO in my previous company. I dedicated half my salary and recruited a developer and an agriculture expert that helped me build the prototype. When we had built it, we tested it with a few farmers to see if it was helpful. It worked great, and they were delighted. Meanwhile, I was conducting market research and saw that there are 1.5 billion farmers in the world, so it’s the biggest market worldwide. 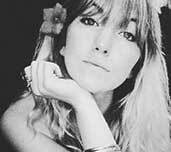 That’s when I realized that the need was huge, and if I wanted to do it I couldn’t do it from my previous job. And I dedicated myself full-time to Agrivi. That was three years ago now. What aspects of the agriculture industry are you hoping to address through your work with Agrivi? M: When you focus on critical farmer problems, one of them is productivity, or yield per acre. That is first issue: how to achieve optimum yield. The second issue is that inputs, such as fertilizers and pesticides, are expensive for farmers. There are too many resellers because the chain is so long, and the huge markets lead to difficulties in profitability and the sustainability of the farmer’s business. The third problem is that it’s hard for farmers to sell what they produce, because farmers aren’t typically business people. They usually are able to sell in a small region, but they sell to the first wholesale buyer, which may not have good conditions for those interactions. All previous efforts and projects that have attempted to address either the input issue or the market issue failed because there was no critical mass of farmers participating. So we decided to focus on something that we can address very easily, the productivity segment, which is completely self-sustainable as a business model. When we have a large number of farmers worldwide then we can create ecosystems in which we can group those farmers to help them buy more efficiently. We have real-time inventory and we know when they will produce, so we can easily expose future production to a marketplace and connect them with would-be buyers. Finally, we can also measure buyers’ needs and push those needs toward farmers, so we can actually manipulate with the demand within the market. Can you tell me a little bit about your competitors in this space? M: It’s hard to say who our direct competitors are, because nobody’s trying to cover all the segments we are. Either we have competitors in some geography or we have competitors only in terms of one part of the product. We are the complete product. We really cover all farmer needs, whereas other competitors may just track field activities, but they don’t have finance, inventory, pest/disease detection, et cetera. Our product has a very rich ranges of features. Agrivi is among the top eight farming technologies in the world right now, with the remaining top seven operating within the U.S. What would happen if those technologies ended up permeating the international market? M: It takes time to implement multiple languages in your service. If you don’t build up your product from the very beginning to support multiple languages, you would have trouble with integrating them. A lot of companies fail in that. The U.S. is also big enough to support competition in its market, so those companies aren’t showing any indication that they’ll step out of the U.S. market soon. They probably will at some point, but we are already present in all those countries where they aren’t present. In the next two to three years, we will do our best to position ourselves in that space even stronger. It is also very important to recognize that you cannot apply a U.S. approach to other markets. You need to have local approach, with local people. You cannot just expand into a new market when you decide to; you need two to three years in order to learn the mentality of the market. It will not be an easy task. M: So we are working with farmers directly. We do it remotely. The technology is cloud-based software, so it can be used by farmers who have an internet connection. We mostly get in touch with farmers through online queries that we acquire through advertising. We also work with food companies that have large networks of farmers, and they help us to reach the farmers that are interested in increasing their productivity. More productive farmers means greater quality in the companies’ food supply chain, so there’s huge interest. The third segment is organizations, NGOs that work in developing markets with farmers that desperately need knowledge. The most common question in most countries is simply, “How do I do that?” So, those farmers are really missing the knowledge component. 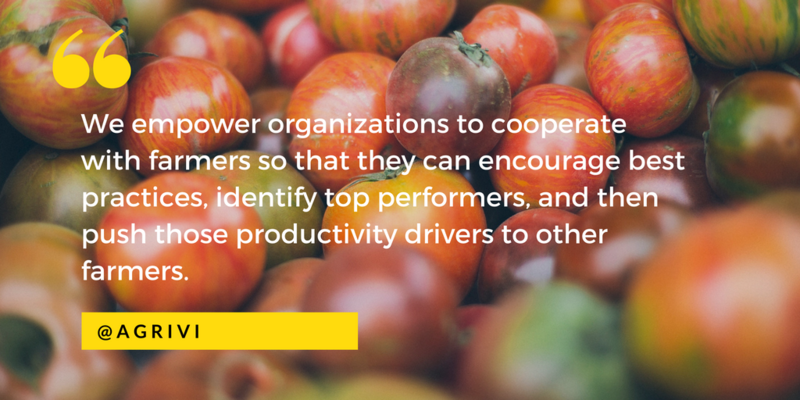 We empower organizations to cooperate with farmers so that they can encourage best practices, identify top performers, and then push those productivity drivers to other farmers. That’s the interactive improvement component. How is the product financed? M: So, you have a free trial for 30 days, after which you can select the paid plan with its full features. We charge depending on your size, so small farmers pay a little and big farmers pay much more. That’s the first option. The second option is if you don’t want to pay, you can use a limited, free plan that still delivers knowledge. We don’t charge for basic knowledge. We want to empower farmers. It is also valuable for us to provide them with knowledge because we gather data from all those farmers and our platform is self-learning, so it helps us to identify best practices that drive towards optimum yields. And we utilize that data to help all of our users. So, it’s a win-win situation. How many farmers does Agrivi currently serve? M: We serve over 20,000 farmers in 150 countries, and we serve them in 14 different languages. Several thousand of those customers pay for the full service. I’d love to return to the discussion about the other players in this space for a moment. Do they have sustainable agendas, the other large U.S. groups? M: No. They’re completely profit-focused. It’s not about sustainability. It’s not about bringing knowledge where it’s needed. We provide software for farmers as businesses. We sell our software and it’s as much about what farmers input as it is about the value they receive. We are actually the only knowledge-based solution for farm management. At this stage, we can already see how Agrivi has changed farmers’ lives. Our goal is to reach 100 million farmers in five years. If we do that, it’s huge. That is just huge. 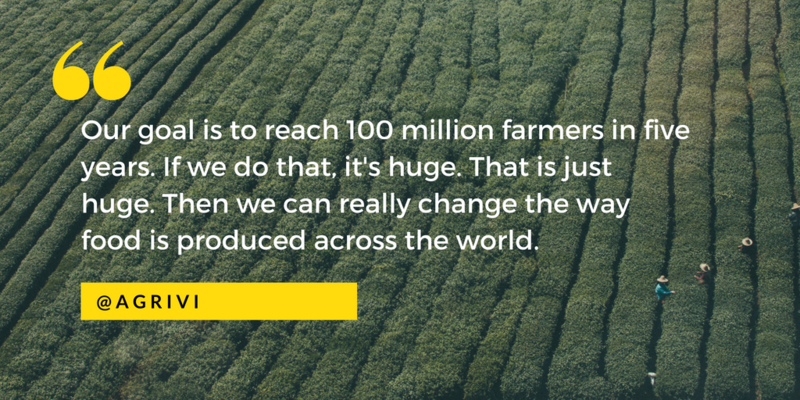 Then we can really impact and change the way food is produced across the world. We are in contact with a lot of farmers that are using the product. They love sharing their stories with us. The key thing is that most of our farmers didn’t use any kind of software before. So our biggest competitor is actually pen and paper. What they need the most is extraordinary customer support, and we do that. We really provide fantastic customer support. We actually call it “customer success,” which is more important, because if customers succeed, then we are happy. We don’t want just to support them, we want to really provide them tools, to show them how they can succeed by using Agrivi.